How much money have YOU saved? 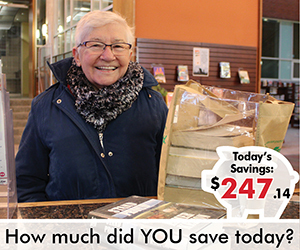 Use our Value Calculator tool to see how much you and your family saved during your most recent visit to the Library, or during a typical week or month! Be sure to share your results with us via Facebook or Twitter! Enter in the left hand column the number of times per month or per visit you use each service. Data primarily from LSC Canadian Library Purchasing Power 2018 and Measuring the Economic Impact of Your Library, adapted by the Halton Hills Public Library. The calculator has been adapted from the Library Boards Association of Nova Scotia, from the calculator originally provided by the Massachusetts Library Association.